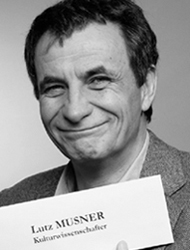 Lutz Musner was deputy director of the International Research Center for Cultural Studies (IFK) in Vienna. He is well-known as an expert on interdisciplinary cultural science with a special focus on cultural sociology of urban living. In addition to research activities at the University of Chicago and Duke University, he has been active in Austrian research management.